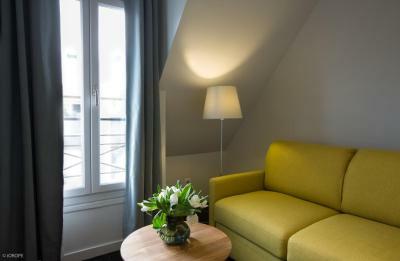 The pillows on the bed (in the second room I was given) were great. Staff was so helpful. Breakfast easy to enjoy: plenty of coffee and plenty to eat. The location of the hotel was close to the Eiffel Tower. 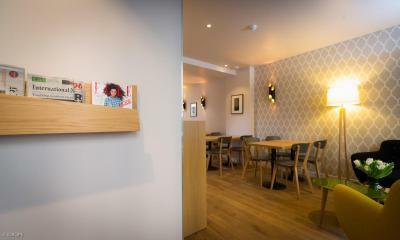 The staff were very hekpful and happy, the young man at the reception was just the best. He needs a pay rise. The beds were great. 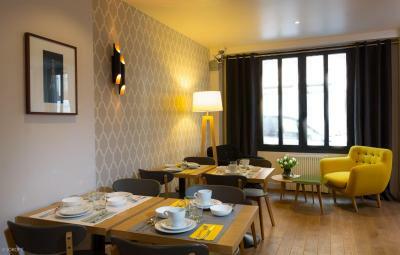 Many boulangeries and restaurants nearby. The Metro was 1.5 blocks away, another bonus. Comfortable bed. Hard and soft pillow at your disposal. 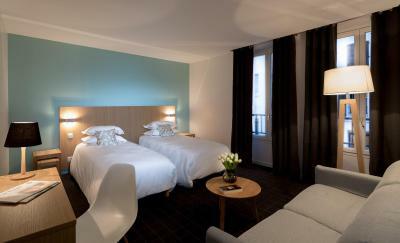 In the 15th district of Paris, Hotel Mirabeau Eiffel provides contemporary accommodations and a 24-hour front desk. 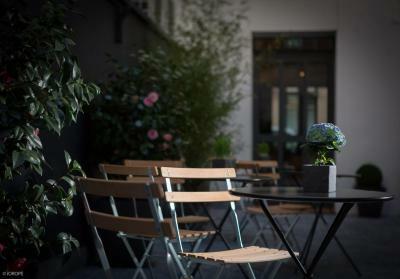 Guests can relax on the hotel’s terrace. 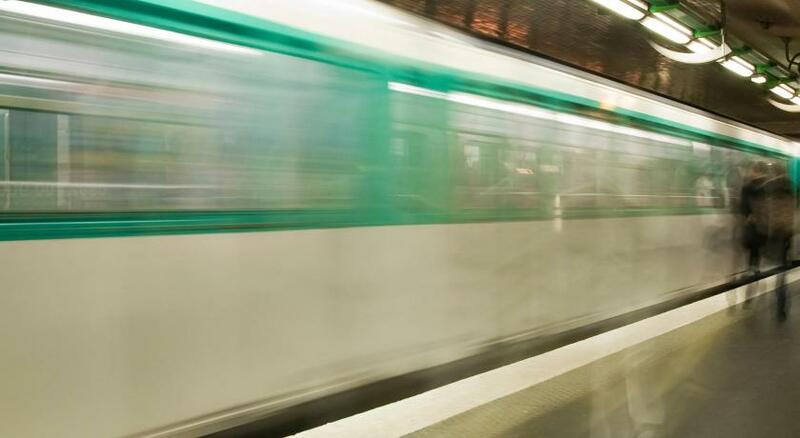 Javel Metro Station (Line 10) is just under a quarter of a mile away and provides direct service to the Roland Garros. 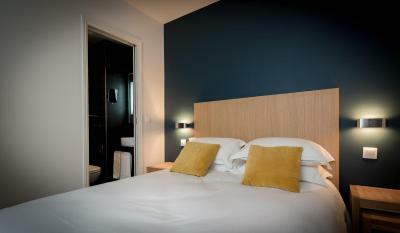 The rooms at Hotel Mirabeau Eiffel have a desk, a sofa and a private bathroom with a hairdryer and a shower. 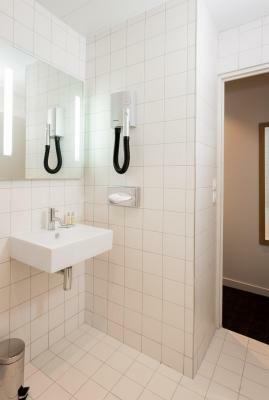 The hotel also has rooms suitable for people with reduced mobility. 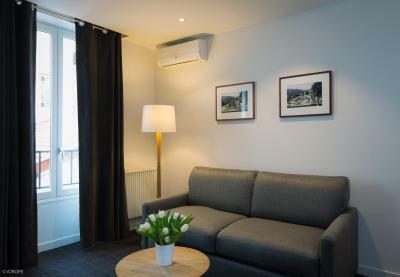 Free Wi-Fi access is available throughout the property and the Eiffel Tower is a 30-minute walk from the hotel. 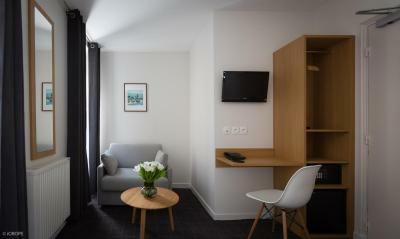 Hotel Mirabeau Eiffel is just over a quarter mile from Parc André Citroën, and Javel RER Train Station (Line C) is just under a quarter of a mile from the hotel. Boucicaut Metro Station (Line 8) is just under half a mile away and provides service to the Porte de Versailles Exhibition Center. 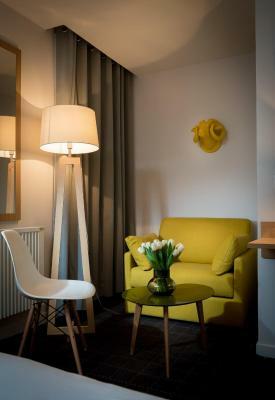 When would you like to stay at Hotel Mirabeau Eiffel? 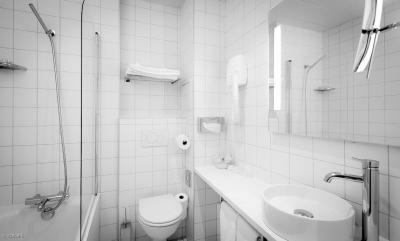 This twin room has a desk and a private bathroom with a shower. 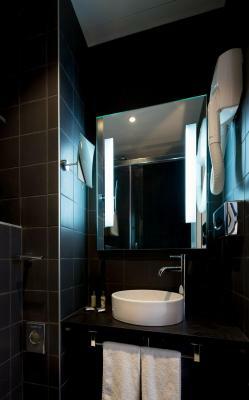 This triple room has a sofa, desk and a private bathroom with a shower. 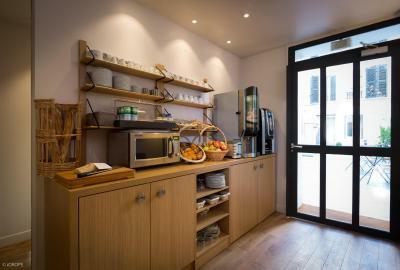 This quadruple room has a sofa, desk and a private bathroom with a shower. 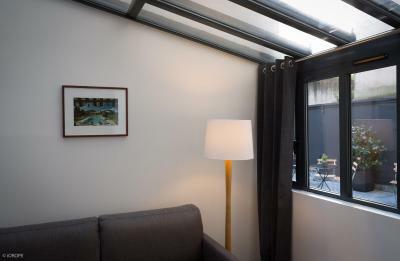 Hotel surroundings – This neighborhood is a great choice for travelers interested in romance, sightseeing and monuments – Check location Good location – show map Guests loved walking around the neighborhood! 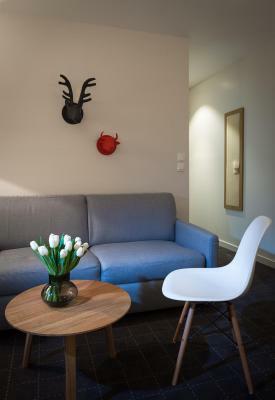 House Rules Hotel Mirabeau Eiffel takes special requests – add in the next step! 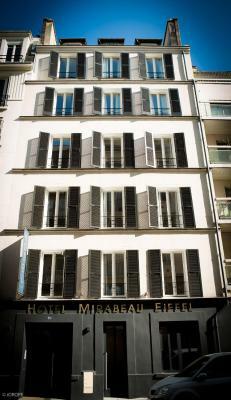 Hotel Mirabeau Eiffel accepts these cards and reserves the right to temporarily hold an amount prior to arrival. 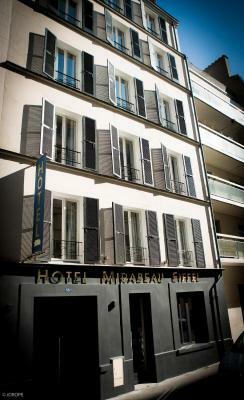 Please inform Hotel Mirabeau Eiffel of your expected arrival time in advance. You can use the Special Requests box when booking, or contact the property directly using the contact details in your confirmation. The room was not very clean and relatively old. The bathroom door was not good and we were not able to use the door to close the bathroom. 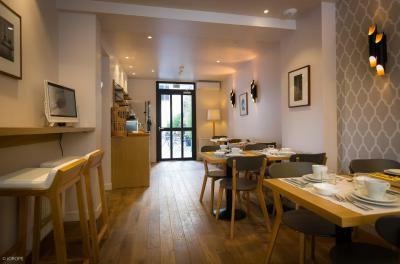 It is relatively expensive with no breakfast but probably also because Paris is an expensive place. The stairs are not easy for elderly to climb, no lift. Smallest bedroom in the world. Almost impossible for 2 people to fit into the bedroom. Should not be advertised as a twin room. Location was very nice - hotel was clean. I found it strange that the external blinds were closed all the time; it was possible to open them and let daylight in, but the cleaning staff left them closed again... minor and not really a disadvantage. It was quietly located and really just a short walking distance from Metro, RER and a night bus, so one could get back at any time. 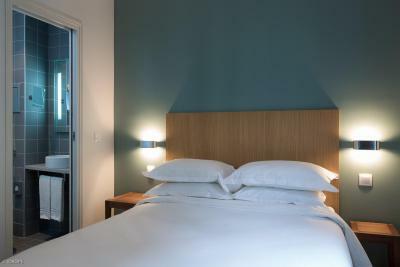 The bed was very comfortable, the linens clean and the staff very friendly and helpful. The room had a mini-fridge (empty, but great for my groceries) and a safe!!! Very good! 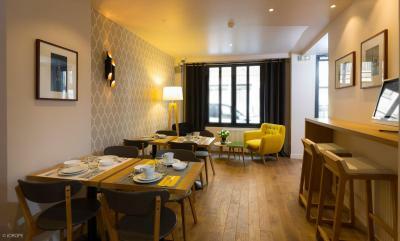 Cozy, small hotel with only 4 rooms per floor and I’d stay there again. Staff was nice and helpful. Localization is good, close to metro and Eiffel Tower. Quiet vicinty. No English TV channel. 12 Euros for Breakfast! location is excellent. 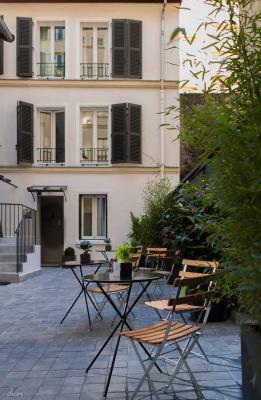 easy access to many places at the heart of Paris. 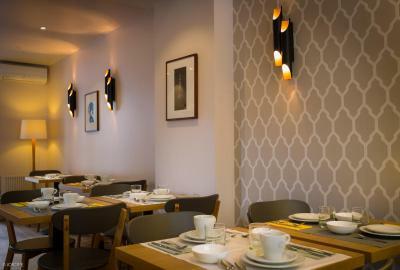 many restaurants and supermarkets in walking distance. Personnel super sympa. 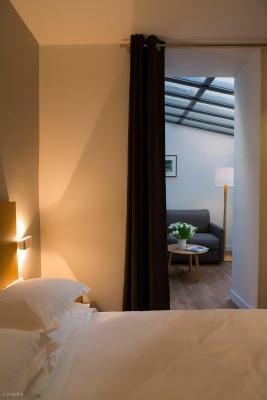 Chambre spacieuse et calme. 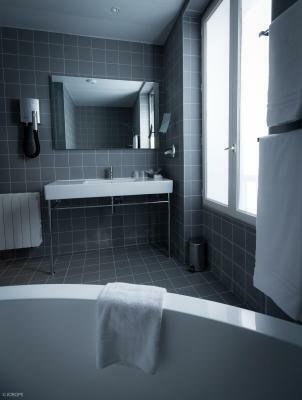 simply dirty .small.all things are broken.if booking.com let these kind of hotels be at it is website .i promise that neverone book from it.kindly dont put some hotels even not capable for use.you try to give best service .by these kind of hotels you will destroy people mood . Tv didn’t work, the corridors and lifts are extras small and tiny. I liked the hot water in the showers, made a difference in the mornings. The room was cute for 2 people. Shower was not clean at all (long hair on the shower wall!!!) moved to another room where it has taken an hour to heat! And bed sheet were old.